It's another big week for video game releases. Assassin's Creed Origins and Wolfenstein II: The New Colossus are both out this Friday, and promise to be packed full of gaming goodness. However, we're really all here for the co-op, right?! Destiny 2 makes its way to the PC (finally), Super Mario Odyssey marks a new adventure for everyone's favorite mustachioed hero, and you can show off your hot moves in Just Dance 2018. Destiny 2 (PC) - supports up to 3 players online (6 players for the Raid). It's been out for a little over a month on the consoles, but it's time for Destiny 2 to have its moment in the sun for the PC crowd. It's worth noting that there's a planned release schedule for content like the Leviathan Raid and the PvP-focused Trials of the Nine, so you can peep this handy-dandy graphic for the details. Nvidia also has a pretty extensive guide on all the graphical settings you can enjoy/tweak. Available today, October 24. If you have any questions about the co-op aspects of the game, don't forget about our Co-Op FAQ! Just Dance 2018 (PC, PlayStation 4, Xbox One, Nintendo Switch, and Wii U) - supports up to 4 players locally. The latest iteration of the Just Dance franchise includes a new "Kids Mode" that features some more kid friendly tunes and dance moves. The Switch version even features a special Mario dance. No special controllers are needed, just use your smart phone and the Just Dance Controller app. Available today, October 24. Super Mario Odyssey (Nintendo Switch) - supports 2 players locally through the main game; one player controls Mario, the other supports by playing as Cappy. 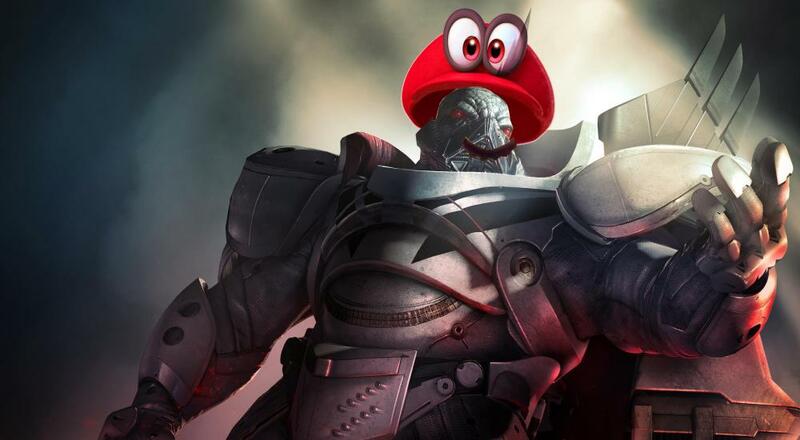 Mario's newest adventure sees him donning a magical hat that allows him to temporarily "possess" friends and foes alike in order to rescue Peach from marrying Bowser. Or maybe Bowser and Peach are really in love and Mario's being a jerk by messing things up, and the only smart one here is Pauline who said, "enough with this, I'm going to become mayor AND be lead singer in a jazz/swing band." Super Mario Odyssey is available Friday, October 27. Page created in 0.2999 seconds.